Well, The Great Banyan is a banyan tree; also called Ficus Benghalensis belonging to the family Moraceae, is more than 250 years old tree, which date of birth is yet not confirmed. The Banyan tree is located in Acharya Jagadish Chandra Bose Indian Botanic Garden Howrah near Kolkata India. The tree has mentioned in several travel books of 19th century, but no clear history of tree, when was it planted. 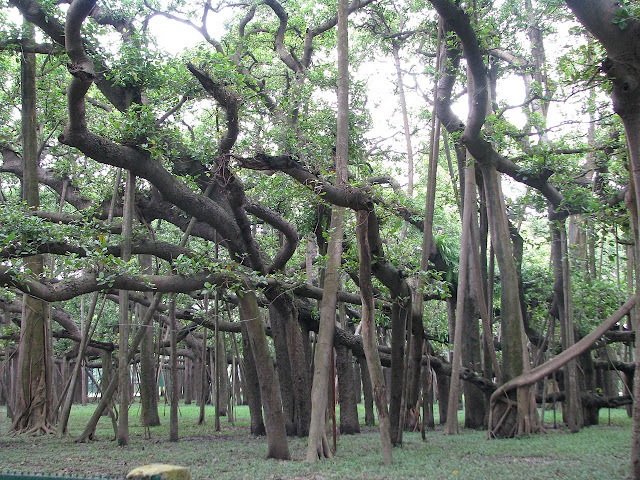 The Great Banyan tree has survived many difficult situations, like two severe cyclones of 1864, and 1867. 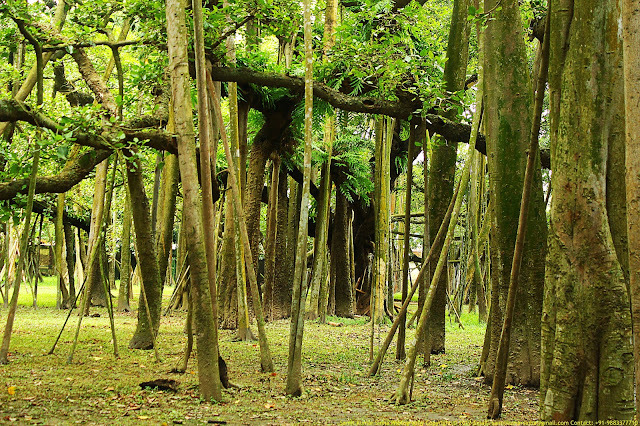 Therefore, few main branches were broken with its large number of aerial roots, which grow from the branches and run vertically to the ground and looks like is has so many trunks. 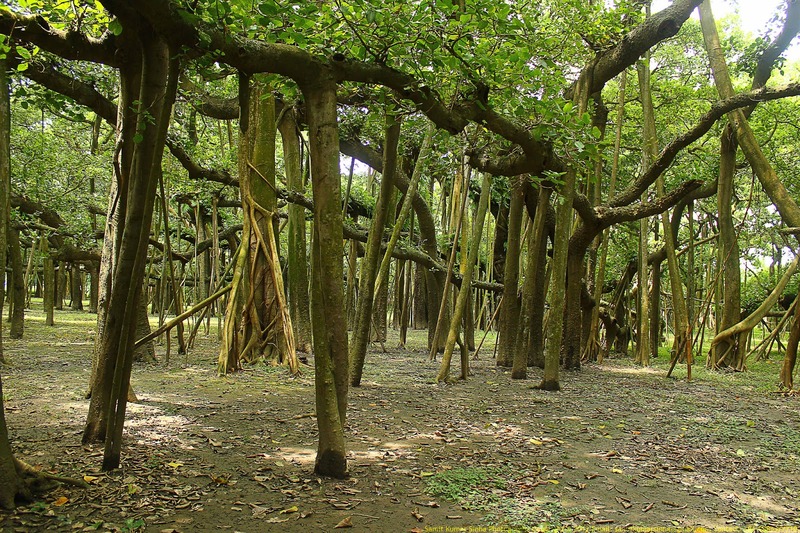 The great banyan tree has drawing ever increasing visitors to the garden than its collection of exotic plants from five continents. 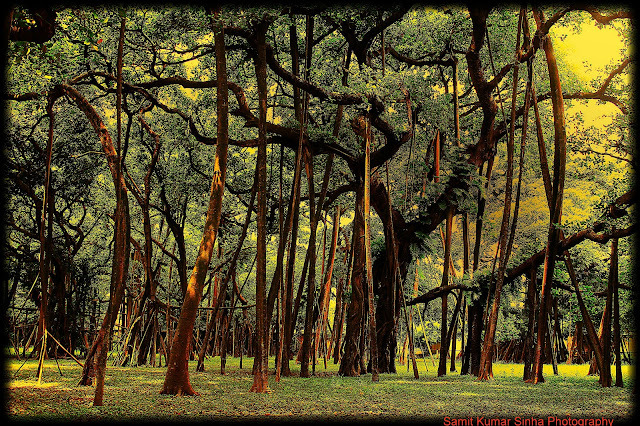 The Great Banyan used to induce the interest of photographers is perhaps the most photographed tree in the world. Amusingly, one would find barely any difference if one compares the photographs taken in 1850s and those being taken today. You can easily called The Great Banyan looks more like a forest than an individual tree. 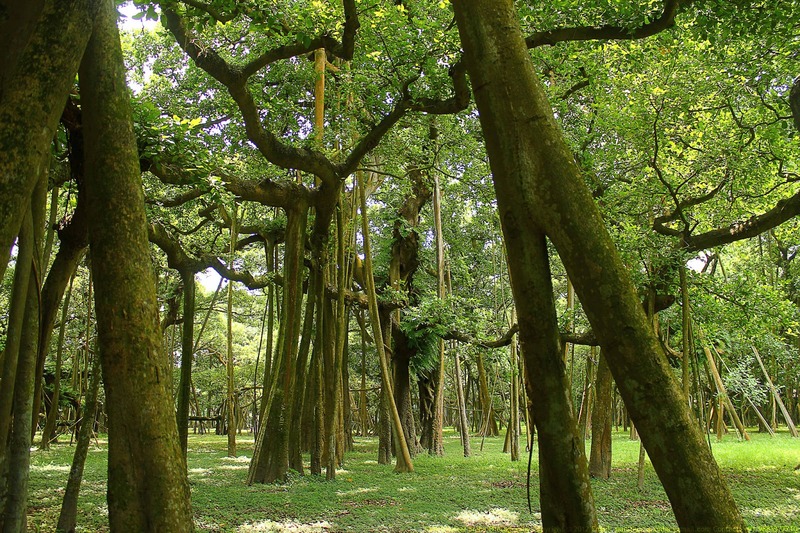 The present crown of the tree has a circumference of 486 m with a highest branch is 24.5 m. The Banyan tree has 3,772 aerial roots reaching down to the ground as a prop root and occupied area is about 18,918 meters. The most interesting point is that, the tree still lives in perfect vigor without its main trunk, which decayed and had to be removed in 1925. Although, in 1925 it became diseased struck by lightning and was excised to keep the remainder healthy left it as a clonal colony rather than a single tree. Moreover, a long over 330 meter road was built around its circumference, but tree is continuously spreading beyond it. The tree fruit is not edible and is red when ripe. A monument has been erected to the dead trunk, but is hardly accessible to visitors, who only have access to the perimeter of the tree.